Located in Oberschleissheim, Hotel am Schloßpark Zum Kurfürst is in a regional park, a 3-minute walk from Lustheim Palace and 11 minutes by foot from Schleissheim Palace. 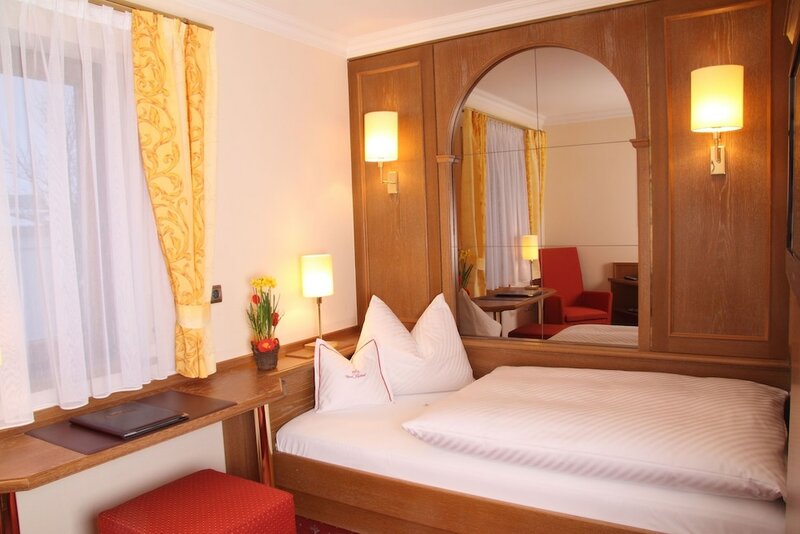 This hotel is 1.4 mi (2.2 km) from Deutsches Museum in Oberschleissheim and 4.3 mi (6.9 km) from Allianz Arena. Make yourself at home in one of the 90 guestrooms featuring minibars and flat-screen televisions. Complimentary wireless Internet access keeps you connected, and satellite programming is available for your entertainment. Private bathrooms with bathtubs or showers feature complimentary toiletries and hair dryers. Conveniences include laptop-compatible safes and desks, and housekeeping is provided daily. Enjoy a satisfying meal at Restaurant zum Kurfuerst serving guests of Hotel am Schloßpark Zum Kurfürst. Wrap up your day with a drink at the bar/lounge. A complimentary buffet breakfast is served daily. Featured amenities include complimentary wired Internet access, a business center, and complimentary newspapers in the lobby. Planning an event in Oberschleissheim? This hotel has facilities measuring 3874 square feet (360 square meters), including conference space. A train station pick-up service is provided at no charge, and free self parking is available onsite.